Special needs children often have to be sedated or require anesthesia to get their dental work done efficiently. When your child’s appointment approaches, it is natural for parents to become uneasy. There are many questions that come to mind and wanting to know what to expect when your child undergoes the anesthesia. How it is administered, how the child will experience the process, and how you should prepare for the procedure and take care of the child afterwards often top the list. There are many circumstances when anesthesia is utilized to help your child get the dental work they need to maintain healthy oral care. Today we at Smile Reef would like to elaborate on the use of the anesthesia. Pediatric dentists that routinely care for children, especially those with special needs, often have an Anesthesiologist they use and trust to help them achieve their dental procedures. To help the child feel drowsy, the general anesthesiologist will give the child some oral medication first. From there, the child is put completely to sleep when the anesthesiologist starts an IV and administers the right dosage of drugs. While the pediatric dentist provides all necessary treatment, the anesthesiologist monitors the child’s breathing and vital signs once the child is completely asleep. The biggest advantage to the anesthesia is that they are sleeping throughout the dental procedures and they will not have any traumatizing association to getting dental work. In many instances the medications used will help the child forget about the whole event during the dental experience. All treatment, including x-rays, fillings, crowns, and cleanings can be done more efficiently while the child is asleep and immobile which helps the experience go by smoothly without the traumatic and seemingly scary activities going on around the child to be affected. Generally, the dentists that suggest the help of an anesthesiologist will schedule the procedure coherent with both of their schedules. Instructions are frequently given to the parents on how to prepare the night before the procedure. A medical history and pertinent information is often asked prior to the appointment so that the right choice of anesthetic medicines is used to better fit the individual child’s needs. Typically, you will be instructed on what your child can eat or drink before the procedure. Usually, they are not allowed to eat or drink anything after midnight. However, specific instructions based on your child’s age, medical condition, and the time of day of the procedure will be given. Eating is not allowed because of the effects anesthesia medicines have. The body normally has reflexes that prevent food from being aspirated, or inhaled, into the lungs when it’s swallowed or regurgitated, or thrown up. The medicines can suspend these reflexes, which could cause food to become inhaled into the lungs if there is vomiting or regurgitation under anesthesia. In some cases, clear liquids may be permitted, or specific medications may be given a few prior to the appointment. Answer the anesthesiologist’s questions as honestly and thoroughly as possible to ensure the child’s safety. What you may think is harmless can have poor interactions with the anesthesia. If you have any questions regarding the anesthesia, you have ample opportunity to consult the anesthesiologist. 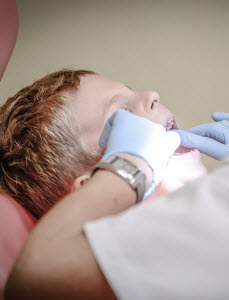 If you feel your child may batter benefit from being sedated for their dental procedure, make an appointment with Smile Reef today to discuss your child’s needs. Thousands of people are afraid of going to the dentist. It is estimated that 5-8% of Americans avoid the dentist entirely because of this fear. Another 20% will go to the dentist only if they absolutely need dental treatment. 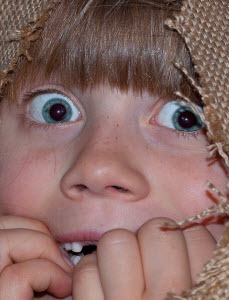 At Smile Reef we want to make sure that your children do not develop a fear of the dentist. Many times the best way to help children not be afraid of the dentist is to help their parents overcome their fear of the dentist. So today we are going to help you start to consider how you can get over any fear that you may have. Why are People Scared to Go to the Dentist? There are multiple different reasons that people are afraid of the dentist. Some people hate the feeling of losing control. They feel like being in the dentist chair with people looking inside their mouths takes their control away. Not wanting to experience pain can also be another reason that people do not want to go to the dentist. Many people are embarrassed to go to the dentist because they do not want the dentist to see their mouth. They feel like their teeth are not perfect and they do not want anyone to see them up close. One of the largest reasons that people are afraid to go to the dentist is because of past experiences that were bad. If people have had dentist appointments in the past where they have had extreme pain or complications they can develop a fear of going back. So if you have a fear of going to the dentist how do you go about getting over it? We have some tips for you to consider trying to help you get yourself back to the dentist on a regular basis. Become you can overcome any fear you have to be able to identify what the emotion is. Think about the reasons above for why people may have developed a fear of the dentist. Do any of those ring true for you? If not you may have another reason for not wanting to go to the dentist. Some other common reasons are a fear or needles or a fear of the drill. Knowing what exact fear can help you try and overcome and it can help the dentist know how you to help deal with it. Just like every human is different, so is every dentist. You will want to choose a dentist who can listen to your fears and help you overcome them. If you do not feel like your dentist can help you with this, try a different dentist. 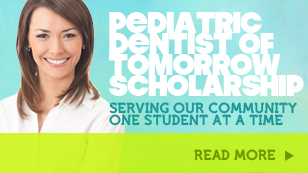 At Smile Reef we believe that most kids benefit from seeing a pediatric dentist. Family dentists are amazing but they do not always see many children and sometime they do not know how to deal with them. Having a fear of the dentist can be overwhelming. You may want to consider bringing someone you feel extremely comfortable with you to your appointment. Having someone you feel comfortable with at your appointment can help you overcome the feeling of being overwhelmed. You will want to make sure that your friend that you bring is not afraid of the dentist themselves. Having something else to think about while you are in the dentist chair can help you forget about your fear of the dentist. You may want to consider listening to music, playing with a stress ball, or counting in your head. We hope that these tips will help you overcome your fear of the dentist. As you know our children learn from our example more than our words. If they can see you going to the dentist regularly they will not be as anxious about it themselves.